Being a lady that probably loves to smell nice on a frequent basis, you can’t afford to spend your money on fake perfumes. Occasionally, you might have fallen victim, and joyfully spent good money to purchase that favorite perfume of yours, only to later realize you wasted both your time and money on a fake. The price tag on every perfume you have some interest in, should be taken into consideration. If that perfume is too cheap for the brand it claims to be, then it’s probably too good to be true. Never take chances with perfumes that are too cheap. A simple tip for instantly spotting fake perfume is to make sure you always shake the bottle and watch to see how long the resultant bubbles last. Take note that bubble formations on fake perfumes tend to pop instantly, so the moment you shake the bottle and spot either of the two outcomes, only then can you be sure if it’s the real thing or not. Carefully examine the package in which that perfume is wrapped in. Real packaging is made from high quality paperboard, so if you notice anything unusual such as excess glues or tape, then it’s probably a fake. Before you make your final payment, examine the text on the back of the packaging. Check for grammatical errors, misspellings, poorly laid out information, etc. Real perfume packages never make such mistakes, and the moment you notice anything unusual in any of the text, then it’s probably not the real thing. You could contact the manufacturers of the brand you're interested in, and verify the authenticity of any given bottle of perfume by giving them its control, batch and serial numbers. If it corresponds with their production numbering then it’s genuine, otherwise don’t bother. 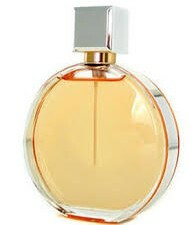 Genuine perfume is always clear, without any deposits or unusual discoloration. So before you stuff it in your bag and walk away, check for it clarity and make sure it’s the real thing. Feel the perfume container by checking to see if it’s either rough or smooth. Real perfumes containers are usually smooth while the fake ones are usually a bit rough and sometimes poorly made. Most fake ones may also be made up of plastics with loose-fitting caps and no spill-proof contraption. The differences between fake and real perfumes can be very hard to spot, unless you take your time to inspect and analyze every single detail before buying. To be on the safe side, always carry old containers for comparison and buy from reputable stores.